Sometimes you just need to get a little Nature back in your life. 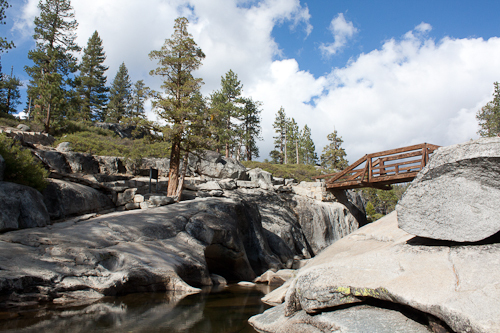 Good thing, living in the Bay Area, we are in no shortage of accessible natural beauties. 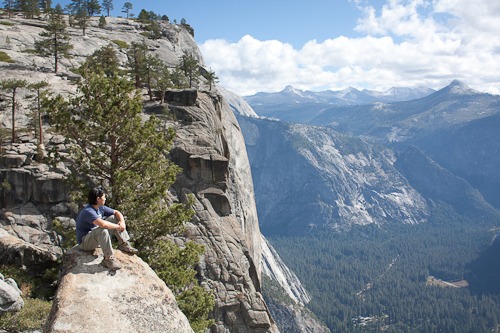 We decided to take advantage of the lingering warm weather and got outta dodge for a weekend in Yosemite. There is something instantaneously liberating about driving on the open road, music loud, windows rolled down. We saw an adorable roadside stand selling some locally grown strawberries and couldn't resist. They were sweet and tart and soon our little rental car smelled like a strawberry patch. Since our day started a tad late, we decided to pit stop that evening in Groveland, a sleepy town about an hour outside the park. Sneeze and you'll miss the short strip of main street dotted with a few shops. 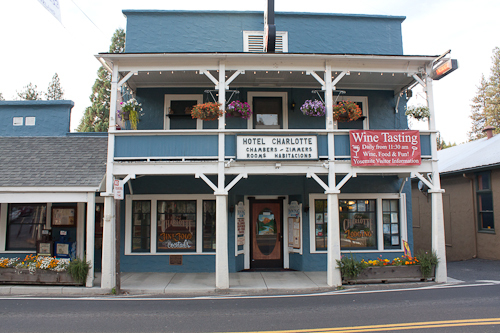 We checked into the Hotel Charlotte, a quaint bed-and-breakfast (that may or may not be haunted…just sayin'…the jacuzzi tub in the room turned on three times by itself in the middle of the night). 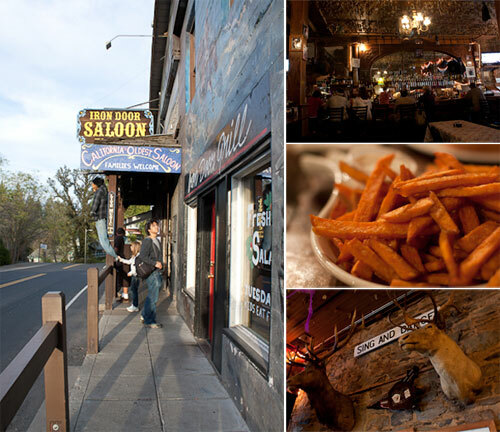 Bubble bath-loving ghosts aside, one thing the Charlotte had going for it was its proximity to some tasty Sweet Potato Fries right across the street at the Iron Door Saloon, California's oldest saloon. Built in 1852, the establishment was originally called the "Granite Store", and served as a general store and post office. In 1937, it was renamed "The Iron Door Saloon" after the hefty iron doors which had been manufactured in England, brought over by ship, and hauled in on mules across the Tuolumne River. The doors were sold to the saloon as a fire protection device, with the idea that if the town was burning, you could just shut the doors and wait it out. Today, pass through those very same iron doors, and enter a little slice of California Gold Country history. 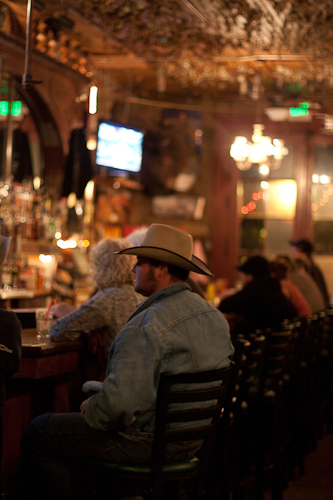 Inside, you'll find a handsome, old-fashioned bar, historic pictures of Yosemite, antique gold mining and farming tools of the Wild West, some stray bullet holes, and a cowboy or two. The first thing you'll notice, though, is the ceiling, positively covered in crumpled dollar bills dangling down. I spent a good 10 minutes wondering how they got up there, and then finally asked someone. Apparently, all you need is a quarter, a thumbtack, and a dollar, and you too can become a part of The Iron Door folklore. A few times a year, the staff takes down the dollars and donates the money to community organizations. The second thing you'll notice is the smoky scent of cumin. The house specialty is Cumin-Spiked Sweet Potato Fries. Smoky, sweet, hot and crispy, these fries are served in a heaping serving that will satisfy any lover of sweet potato fries. They were perfect with my order of saucy BBQ chicken wings (I hear the BBQ ribs are also to-die-for, but they're only available in the summer time). We headed out early the next morning and made it to Yosemite. We hiked all the way up to the top of Yosemite Falls, where we were rewarded with a breathtaking view, and a playground of waterfalls, pristine pools and sunny warm rocks to nap on. We slept like babies that night, drunk on crisp fresh air, the smell of campfires, and the glow of a full moon. On our way back to SF, we stopped to admire all the almond tree orchards along Highway 120 (many of the local producers had just brought in the first harvest of the season and were selling them cheap by the pound). We also turned off to check out The Barn -- frolicked in their pumpkin patch for a spell and went home with a handsome Caramel Apple Pie. 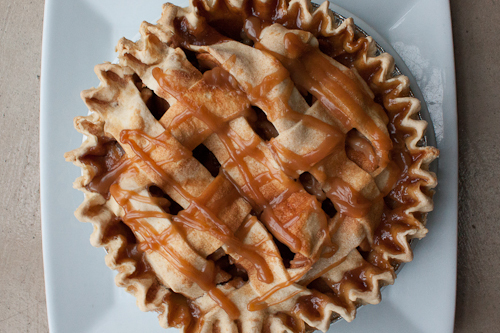 Note: for all you apple-pie bakers this Thanksgiving, a generous drizzle of salted caramel is just the thing to bring that pie to a whole 'nother level. After returning from our little getaway, I was inspired to recreate those addictive Sweet Potato Fries we had at the Iron Door. For my at-home version, I bake the potatoes in high heat, season them with a healthy dose of cumin, salt, and pepper, and serve them with a cool, tangy dipping sauce of roasted garlic, lime, Greek yogurt and mayo. Inspired by The Iron Door Saloon in Groveland, CA. 1. Preheat oven to 400 F.
2. 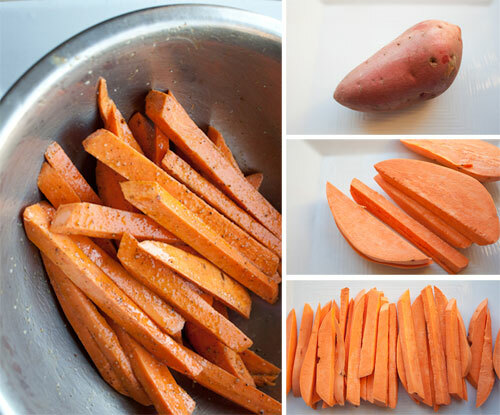 Peel the sweet potatoes and cut into ½-inch by 5-inch batons. 3. Toss the fries in the olive oil, salt, pepper, and cumin, coating evenly. 4. Place on a foil-lined baking sheet (along with the whole cloves of garlic), in one layer, and bake about 20 minutes. Flip them so they brown evenly. Bake for another 15 minutes or until golden. 5. For the dipping sauce, take the roasted garlic (removing the skin) and mash them up into a paste. Mix well with yogurt, mayonnaise, lime juice and zest. Serve immediately.